This Headset provides superior audio quality. All the adapters are included to connect to your XBLUE IP Phone models IP7g, X3030, X4040 & X2020. 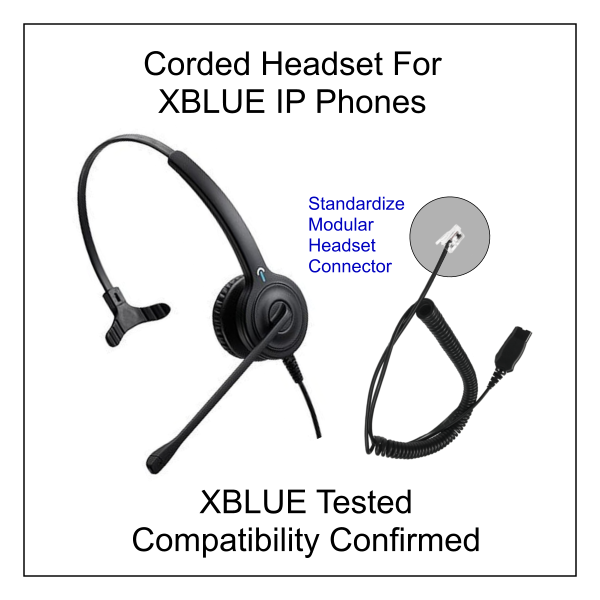 The headset is activated by pressing the “Headset” Button on the XBLUE IP phone. XBLUE model X2020, X3030, X4040 or IP7g IP Phones.